How Do Chapter 13 and Chapter 7 Bankruptcy Differ? Thousands of people use bankruptcy to repay or discharge debt while receiving protection through federal bankruptcy court. Most bankruptcies are Chapter 13 or Chapter 7 cases. Assets, debts, income, and financial objectives determine which one is the best solution. Learn more about the differences between Chapter 7 and Chapter 13 and consult a bankruptcy attorney to begin the process. Chapter 7 bankruptcy erases debt that is not secured by assets. It is classified as a liquidation bankruptcy because it wipes out medical bills, credit card balances, and some types of loans. To qualify, an individual must have limited disposable income. Once a Chapter 7 case is filed, the bankruptcy court appoints a trustee who reviews the required documents as well as the supporting paperwork and sells qualifying property to repay creditors. While Chapter 7 is designed for people with little income or few assets and unaffordable unsecured debts, Chapter 13 is intended for individuals with higher regular income who are able to repay some or all of their debts. Individuals who do not qualify for Chapter 7 but want to address their debts may need to file for Chapter 13. Debts are then repaid through a plan that lasts three to five years. Some debtors who qualify for Chapter 7 opt for Chapter 13 due to the additional benefits it provides. Chapter 13 can help people get current with mortgage payments that are in arrears. It also allows homeowners to remove junior liens that are wholly unsecured. With Chapter 13, the filer keeps all property, including assets that are not exempt from bankruptcy, in exchange for repaying some or all debts over an extended period. Debt types, income, and expenses determine the amount to be repaid. Individuals and business entities may file for Chapter 7 bankruptcy but Chapter 13 is reserved for individuals only. It takes between three and six months to receive a Chapter 7 discharge while a Chapter 13 discharge is not issued until all repayment plan payments have been made, which can take up to five years. Both types of bankruptcy include an automatic stay that protects filers from creditor collection action. The ability to quickly discharge debt and start over is the main benefit of Chapter 7 bankruptcy. Chapter 13 allows filers to retain property and become current with car, mortgage, and other priority debt payments that cannot be discharged. 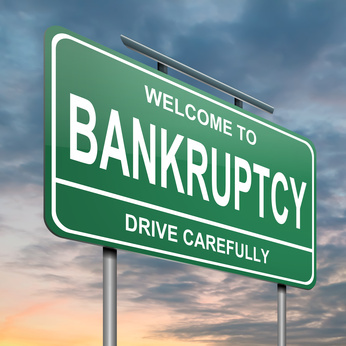 To learn more about the Chapter 7 or Chapter 13 process, contact a bankruptcy lawyer. Fill out the Free Bankruptcy Evaluation Form to Get Help Now!